Portland, Ore. – Mar. 26, 2019 – Detroit™ Connect, Daimler Trucks North America’s suite of connected vehicle services, announced today that it has taken the connected vehicle experience to the next level. Third party telematics service providers can now be integrated into the Detroit Connect platform. The proprietary Detroit Connect platform, exclusive to the Freightliner® new Cascadia®, was designed to allow the services of third party providers to be supported via the platform, providing customers the flexibility to work with the partner of their choice as well as eliminating the need to install additional hardware. Another added benefit is the integrated services will also be factory installed, which should help reduce the time it takes customers to in-service their vehicles. Starting in April, Zonar offerings will be available on the Detroit Connect Platform allowing customers to access Zonar’s patented telematics technologies, including Ground Traffic Control® (GTC), Zonar’s web-based fleet management solution without having to install additional hardware on the vehicle. DTNA and Zonar’s partnership began in 2011, when the companies collaborated to bring Detroit® Connect Virtual TechnicianSM to market. In 2015, DTNA became a minority investor in Zonar to continue its industry leadership in telematics services. “Ultimately, our goal is to drive new solutions that will help shape and evolve the way customers’ interact with the vehicle while at the same time enhancing the customer experience,” said Krajewski. For more information on Detroit Connect, go to www.DemandDetroit.com. For more information on Zonar, go to www.zonarsystems.com. Detroit is a single-source trucking business solution that offers mid-range and heavy-duty diesel engines, transmissions, axles, safety systems and connected vehicle services for on-highway and vocational commercial markets. Detroit™ products are sold and serviced through a network of hundreds of locations located in North America. For more information, or to find the nearest Detroit location, visit DemandDetroit.com. Detroit™ is a brand of Detroit Diesel Corporation, a subsidiary of Daimler Trucks North America. Founded in 2001, Zonar has pioneered smart fleet management solutions throughout vocational, pupil, mass transit and commercial trucking industries. Zonar helps fleets of all sizes maximize the use of their assets with solutions dedicated to improving compliance, efficiency, maintenance, ridership visibility, safety and tracking. 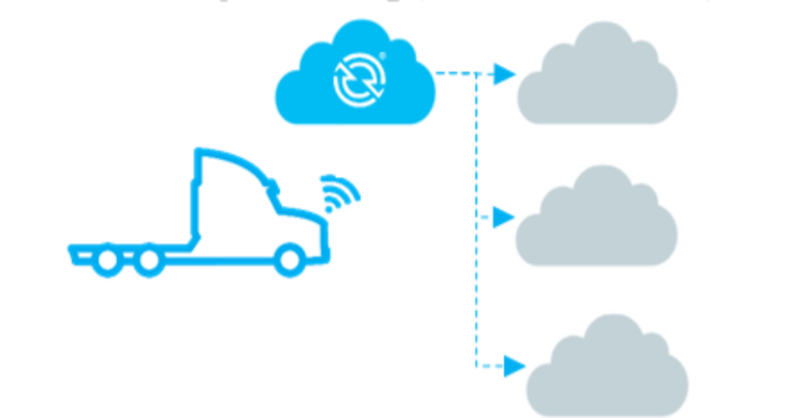 Cloud-based services with open API's drive Zonar's smart fleet solutions by making it easy for fleet owners and managers to stay connected to their fleets and drivers and operators to dispatch. Headquartered in Seattle and majority-owned by technology company Continental, Zonar also has a Technology Development Center in downtown Seattle, a regional office in Cincinnati, and a distribution center outside of Atlanta. For more information about Zonar, go to www.zonarsystems.com. Third party telematics service providers can now be integrated into the Detroit Connect platform.